Like a midsummer’s dream, she appeared only once, made her rounds, and just as magically as she appeared, the Queen of Unconventional Happy Endings vanished again. Created for a literary conference, Her Majesty is based on an “honorary” title given the author by his friend & publisher, Debbie McGowan, from Beaten Track Publishing. Meant as a playful comment on pulling off a happy ending at the end of a novel dealing with one of humanity’s darkest facets, the author embraced the Queen. 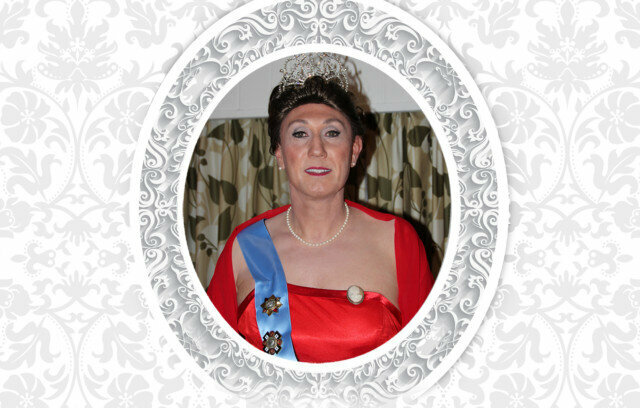 To learn more about the transition and how Her Majesty came to be, read this insightful post.